Unexpected feelings yesterday of sadness mixed with pride when I saw images of vessel no. 36/100M demonstrating in its own peaceful way against a society without any respect of people and nature. The vessel is made out of glass. Fragile but at the same time forever strong if looked after according to its needs. 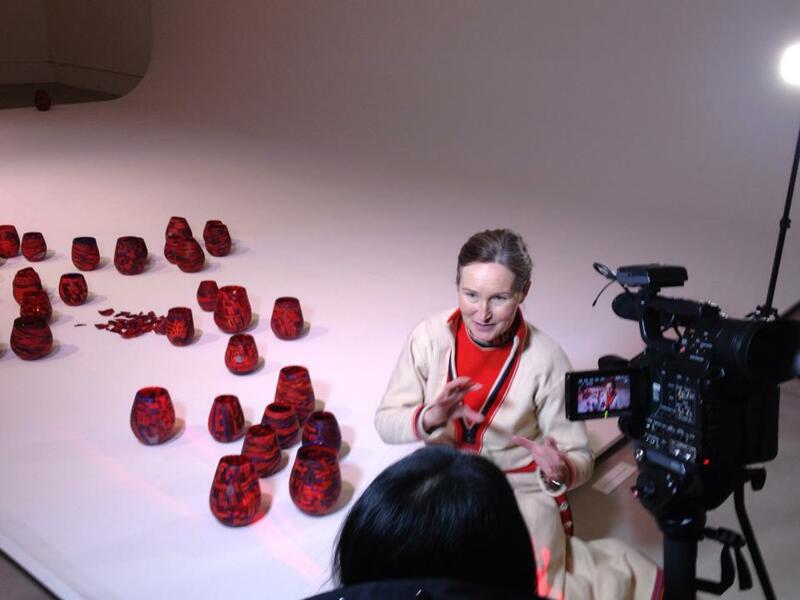 Like a human being, like our nature, like the Sami people – like glass. There are many issues talking against a mine at Gállok in the middle of Sábme Samiland, north Sweden, an area close to the World Heritage Site Laponia. The original cause is the fact that the Swedish state continues giving away the land and nature of our country and future generations to shortsighted foreign prospectors that will profit at the expense of the indigenous Sami people, local people and the nature. 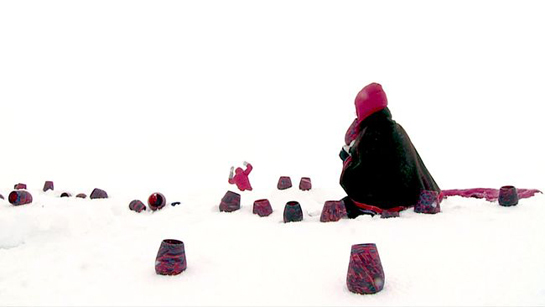 I want to discuss one of the issues not so often raised in the debate: it is about the human and personal aspect of the effects of mining in an area used and looked after by the Sami people. We have no ancient photos, old written parchments or previous rock house foundations to prove that we have been here generation after generation. That is because we have looked after our nature, taken care of her and made sure to work in harmony with her without leaving traces behind. That is respect. Yet, we own a treasure hidden in the mountains and in the hardly seen paths winding through the forest. The treasure is our stories, the verbal histories from the past and from today. The land, the streams, the mountains and that specific rock carry all the stories of my past and with the stories I learn about my history, about how to act in specific situations, how to look at life in general – it’s a cultural heritage woven into the story by the land. The stories of the past create a feeling of home, a core in life, and a deep connection with previous generations. When I walk the same path my great grandmother walked while I listen to her story of that specific mountain or rock, told by my grandmother, I get a feeling of belonging. Me – today, is part of yesterday. I belong. We belong. And by understanding this I can also look forward with enjoyment and see the future; a future where my children walk the same path as my great grandmother. I think too many people in our society have lost that natural connection with the past, they can’t see where they come from. They search for identity and meaning and somewhere to belong. If they don’t find it they might make their own artificial world with their own ‘right and wrongs’. That can be fatal. Please, don’t cut that path of mine and destroy our nature with your large machines, and please don’t stop that river flow. You tear open our souls to nothing then and you get lost people, a lost land and you take away the pride of giving a beautiful world and a meaningful life to future generations. 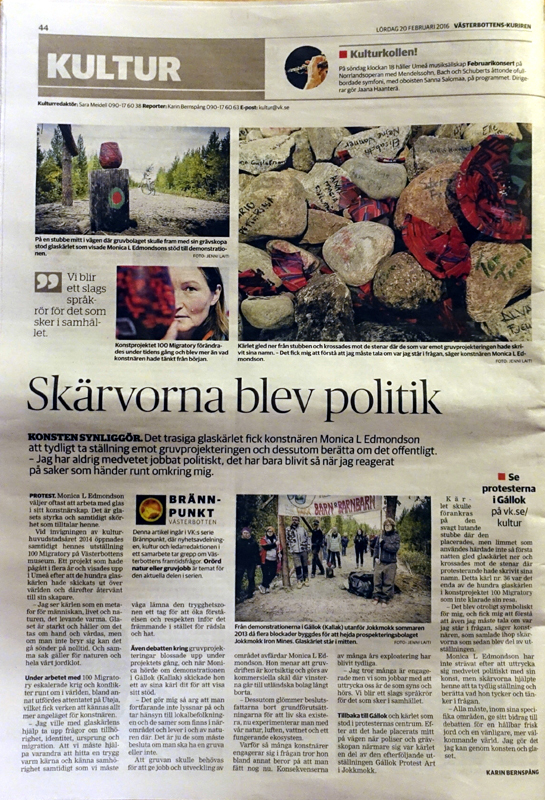 Read more about the different issues of mining in Gállok area close to Jokkmokk in The Detroit News, The Washington Post, London Mining network and at the webpage What local people or sign the petition Stop Mining in Jokkmokk. And consider this is only one out of many areas in Sweden interesting for future mining. You tube related links Gállok by Maxida Märak, Kråkan by Jörgen Stenberg, The Mountain by Maxida Märak & Downhill Bluegrass Band or Gállok by Niillas Holmberg & Roope Mäenpää feat. Ánne Mággá Wigelius. Or listen to Sofia Jannok´s speech at TEDxGateway 2012 Our Rights to Earth and Freedom. All photos by Jenni Laiti. 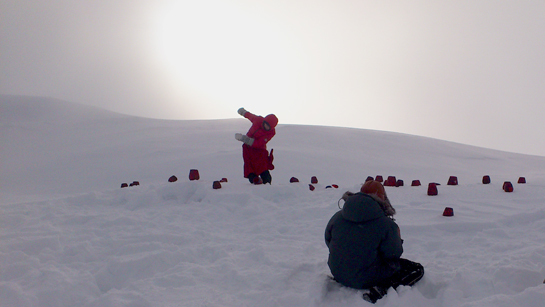 Here you can see a filmclip from the Sámi Design and Fashion Extravaganza show at Icehotel in Jukkasjärvi north Sweden 29th of February 2012.